The AmeriGlide Express Plus Dumbwaiter can make daily tasks a breeze when it comes to transporting heavy or bulky items between floors. 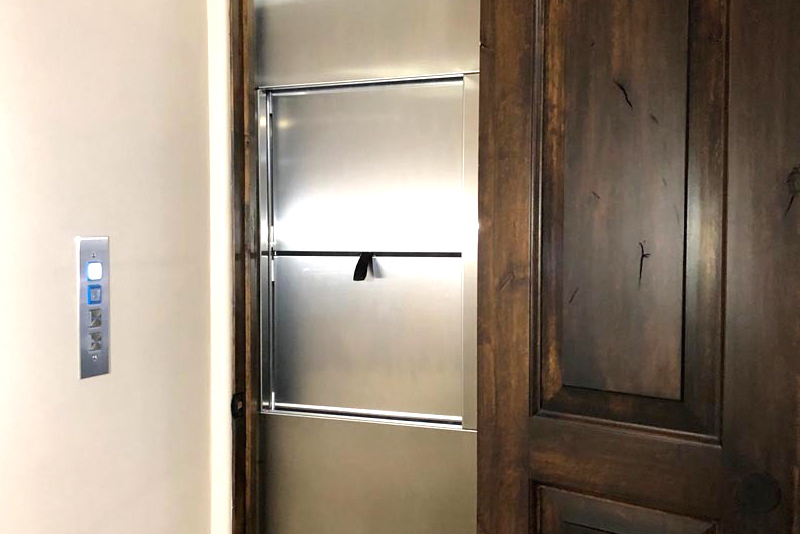 Whether you're moving laundry to the utility room, sending groceries to the kitchen, or lifting firewood to the living room, the Express Plus' 200-pound weight capacity makes it more than capable for most household dumbwaiter applications. Optional larger car size has a 300-pound weight capacity. With ETL Certification, the Express Plus Dumbwaiter is approved for commercial applications when properly equipped to local jurisdiction requirements. Driven by a chain drive machine that can be mounted at the top or bottom of the hoistway, the Express Plus travels at up to 30 fpm along aluminum guide rails. Instant safeties prevent the car from falling in the event of a chain failure, while the mechanical limit switches provide over travel protection and slack chain detection. For added safety, interlocks come standard, preventing the doors from opening unless the car is present, and preventing the car from moving until the door is closed. Call/send stations allow you to send and retrieve the dumbwaiter from any level and feature "car here" and "in-use" indicator lights. Not sure if the Express Plus will work for you? We offer custom car sizes and configurations, as well as a number of custom finishes and options. To learn more about the AmeriGlide Express Plus Dumbwaiter, give our dumbwaiter experts a call today. Car Size - Optional Min car size for side mount rails: 14Wx17D, for rear mount rails, 14Wx14D. Max car size 30Wx30D.